The Gulf engine oil range covers the majority of applications in the commercial market. Gulf products satisfy the latest manufacturer specifications and industry standards so you can be assured that your vehicles will perform as intended. Gulf work with manufacturers to understand the latest engine developments and to meet evolving emissions legislation and market requirements. They also talk to their customers to learn about their service needs. 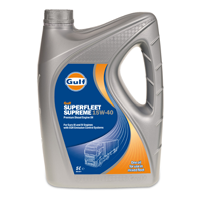 Whether you need lower fuel costs, longer periods between maintenance or engine protection for severe operating cycles, Gulf can recommend a suitable solution. A full range of hydraulic, gear and transmission oils plus engine oils, coolant, motorcycle oils and chainsaw oils are available from your nearest Farmlands store, Challenge Service Station, Online or call for pricing on 0800 666 626. Gulf provides multi-functional lubricants for a wide range of tractors and agricultural equipment for use in engines, hydraulic brake systems and transmissions. 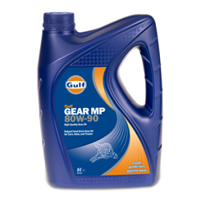 Gulf Gear products offer outstanding lubrication performance and protection against shock loading and wear, and resistance to high temperature deposit formation. Transmissions and axles are often the most stressed components in the powertrain. Using the correct Fluid can have a dramatic impact on your vehicle’s performance. The Gulf Harmony series of high performance, anti-wear hydraulic oils have been developed for high pressure hydraulic systems. The Gulf Crown range of high quality, multi-purpose lithium greases can be used in various industrial applications, even within a very high temperature range. The cooling system needs to protect against extreme cold and heat and should be lled with the appropriate coolant. An advanced range of synthetic, semi-synthetic and mineral automotive oils specically developed for all modern high performance petrol and diesel engines. High performance, ashless, engine oil developed to meet the critical requirements of modern water cooled outboard engines. This oil is suitable for Direct Fuel Injection (DFI) outboard engines.